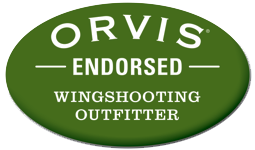 In 2000 Licensed Saskatchewan Upland Bird and Waterfowl Guides and Outfitter Dave Brown made the decision to focus his Wingshooting Endeavors in The Province of Saskatchewan.The attraction was and still is,lack of hunting pressure,great habitat,LOTS of Huns and Sharptails,low population density and easy access from The United States.The Charts Duck hunting might also had something to do with his move. 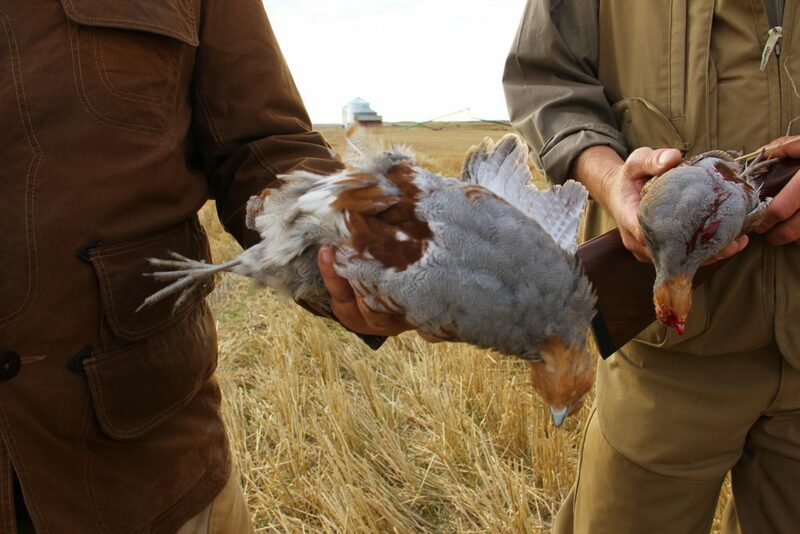 Having hunted Huns across the Western States and Provinces Dave realized that Saskatchewan was the only North American Wingshooting destination where Upland Bird Hunters could realistically and consistently see 10+ Coveys of Huns,plus Sharptails per day. 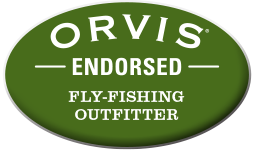 With 10 Saskatchewan Wildlife Management Zones held via 2 Saskatchewan Upland Bird and Waterfowl Outfitter Licenses,Orvis Endorsed Dave Brown Outfitters operates within the entire S.W. 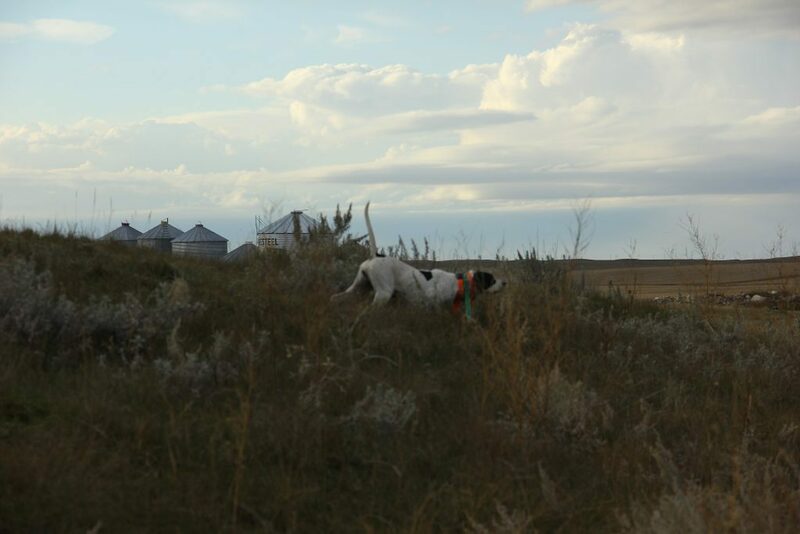 Corner of the Province and we are the first and only Outfitter to utilize Pointing Dogs within our operation. 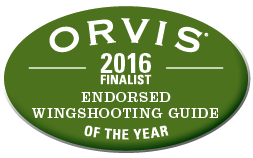 Lou-Lou Nails a Covey of Huns -Saskatchewan Upland Bird and Waterfowl Guides. 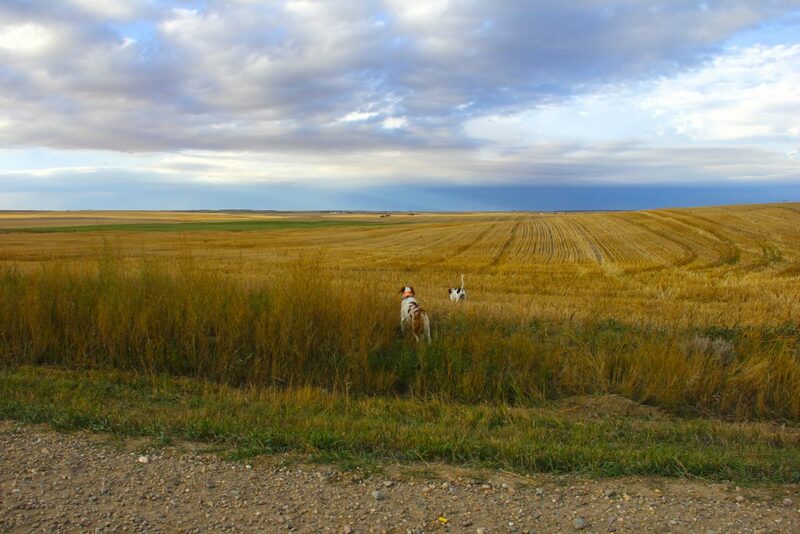 Our Saskatchewan Upland Bird Hunting takes place on Approx. 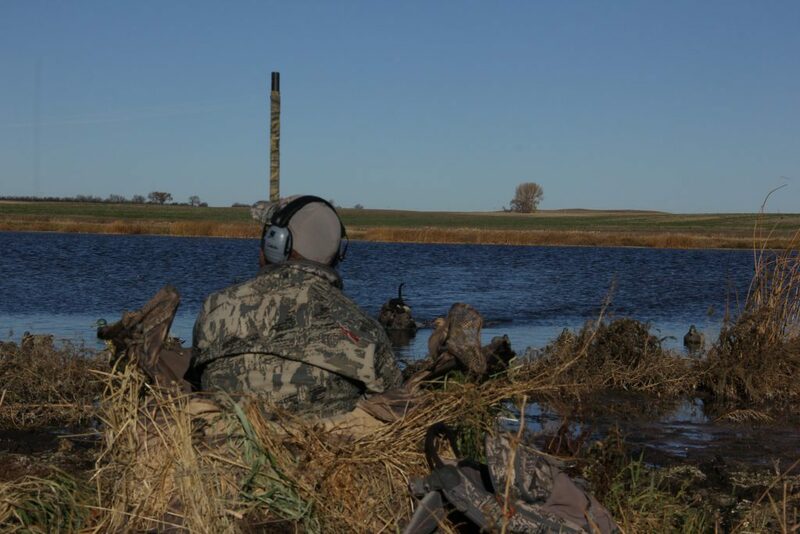 200,000 acres of Private Land scattered throughout our Area of Operation.The Habitat varies from rolling Prairre intersected by Coulees and Creek Bottoms,Old Farmsteads,Sand Hills and Slough Bottoms.The hunting is generally easy walking, Hunters still need to be in decent shape. Saskatchewan is well known for it’s top shelf Waterfowl hunting for good reason as 70% of all Ducks in North America originate there.We take full advantage of that.Located within the staging area for the Central Fly Way our Waterfowl hunts consist of either Pothole or Field shoots.We utilize a variety of Blinds and Decoys depending on what the situation calls for. 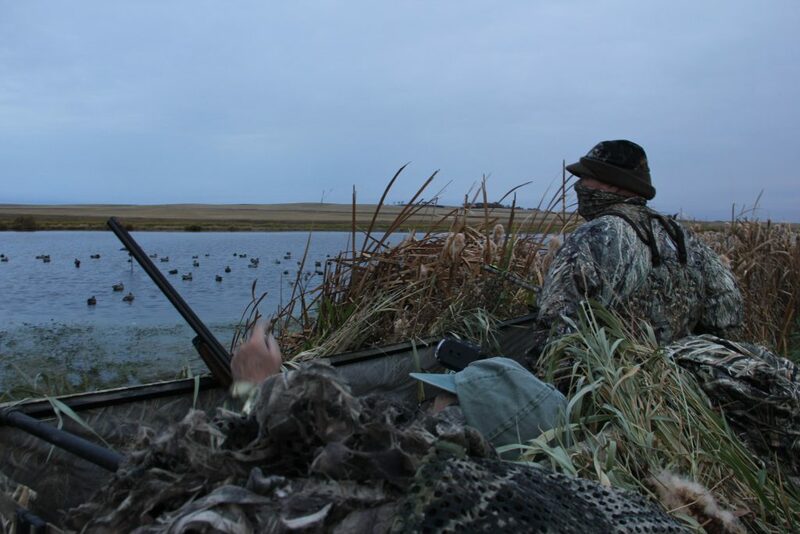 Waterfowl species consist of Lesser and Great Canada’s,Snow and Speckle Belly Geese.The ducks we see are Mallards,Pintails,Widgeon,Gadwell,Blue and Green Wing Teal,Canvas Backs and Golden Eye. 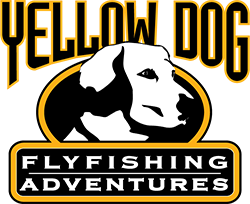 Our Season Runs from Sept.15 to October 31st.Prime Duck hunting starts the first week of October. Lodging is at a motel in town which is also dog friendly.Meals are at 2 cafes in town.We can also do catering for larger parties. 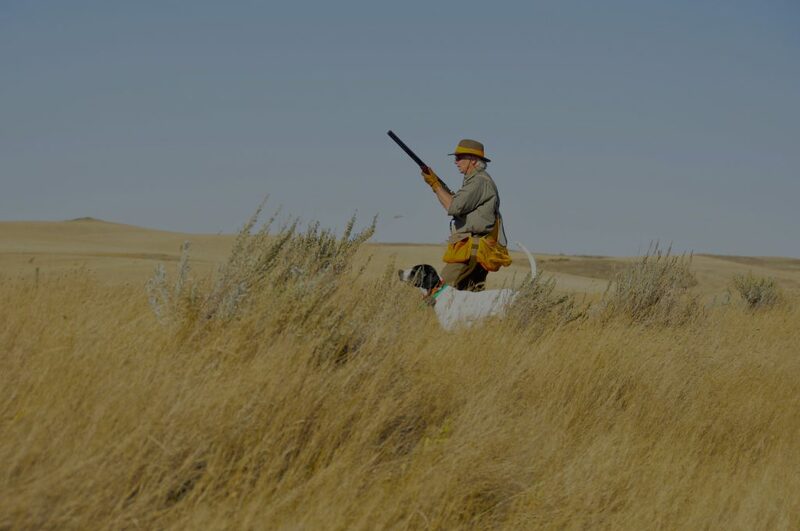 For more information on our Hunts,checkout or Saskatchewan Upland Bird and Waterfowl Guided Hunt Website or Contact Us.